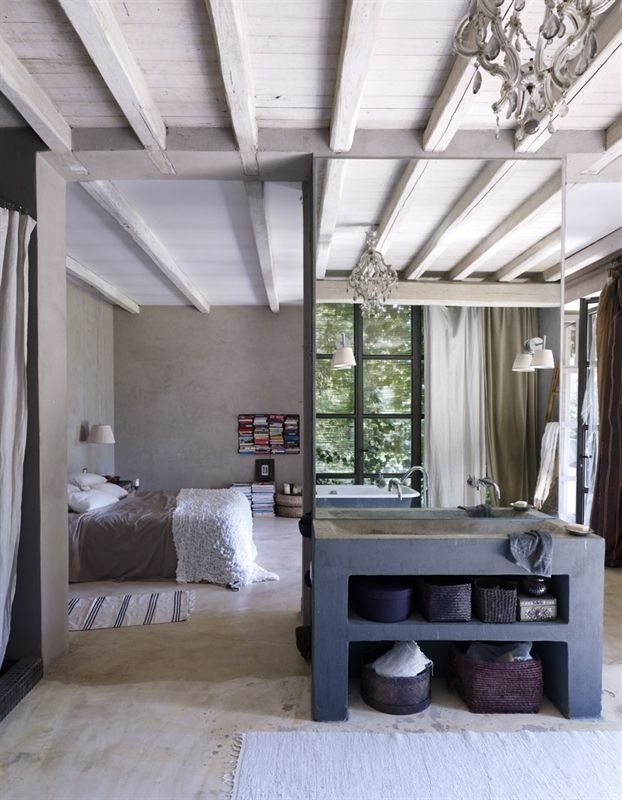 An open plan bathroom bedroom concept is probably not for the faint hearted. It is a daring concept. You either love it or hate it, there is nothing in between! Do you remember the Open Bathroom Concept on The Block 2014 by Brad & Dale? 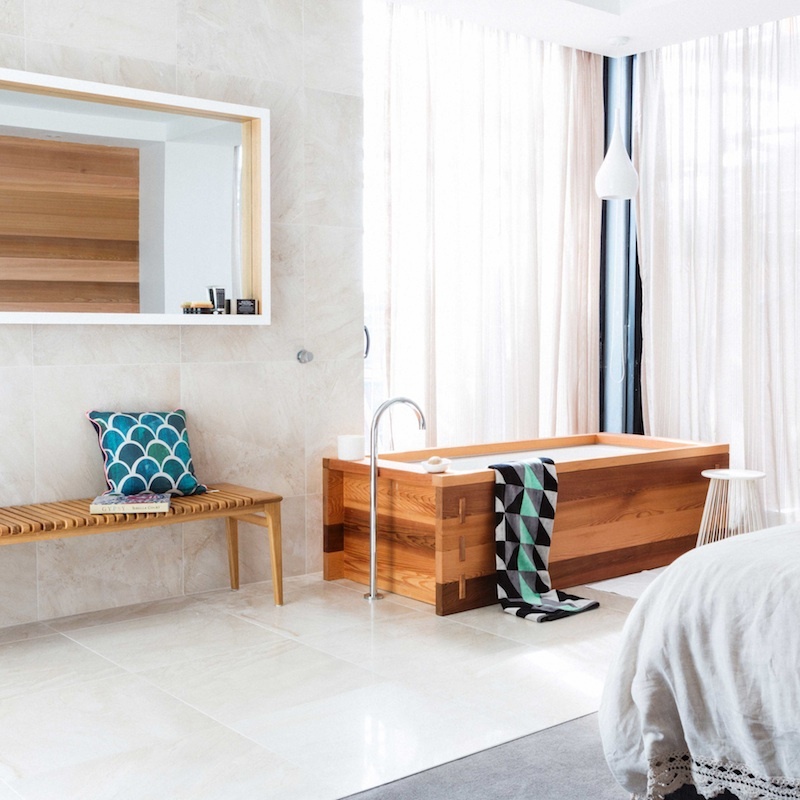 It was very brave of them to incorporate a bath in their master bedroom, but 'high risk high returns' and sure enough they won the room reveal! 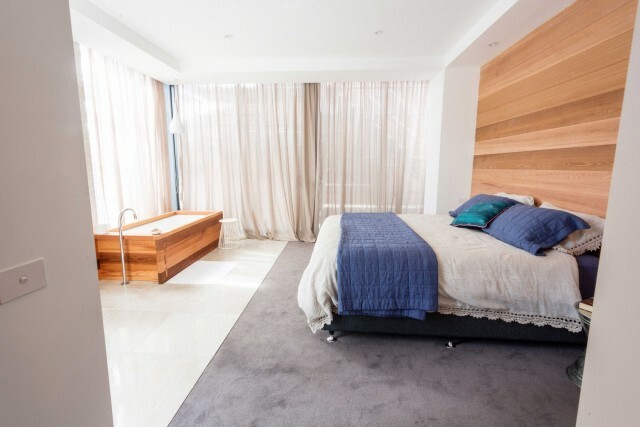 There are different issues to consider when designing an open plan bedroom - bathroom. Today the discussion is led by Lana Hawkins, an architecture student from Sydney in the following guest post. If you are into contemporary and modern design, then this open bathroom concept will certainly blow you away. In the past few years, this idea has grown quite high in popularity, especially among those who like to experiment with interior design. 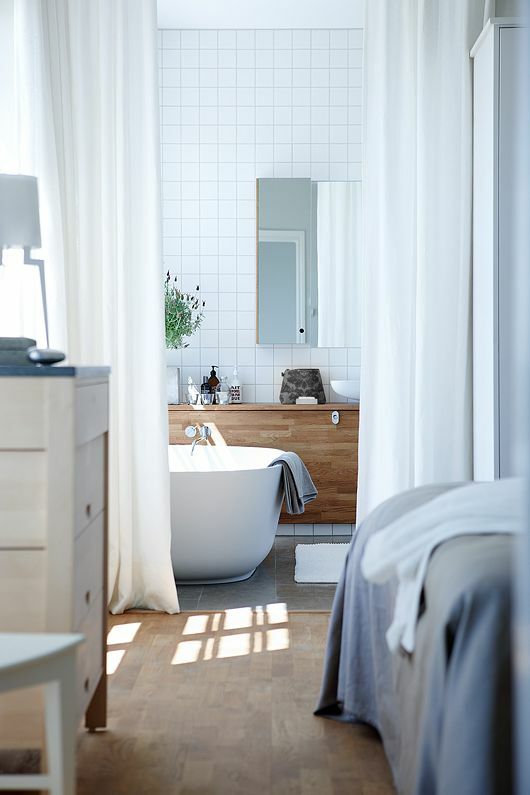 Open bathroom concept is, among other things, quite a bold move, as you need to blur the line between the two rooms where you cherish your privacy. While some people find this to be quite innovative and practical, others disagree and find it a bit controversial. I will let you decide for yourself! Your sense of personal style is what is going to be a deal breaker here. Whether you are going to find this concept suitable for yourself and your home mostly depends on your personal affinities and liking. The open concept bathroom is for people who enjoy luxury and modern design, but most of all cherish comfort before anything. If you find yourself to identify with this, it is quite certain that you might find this idea to your liking. 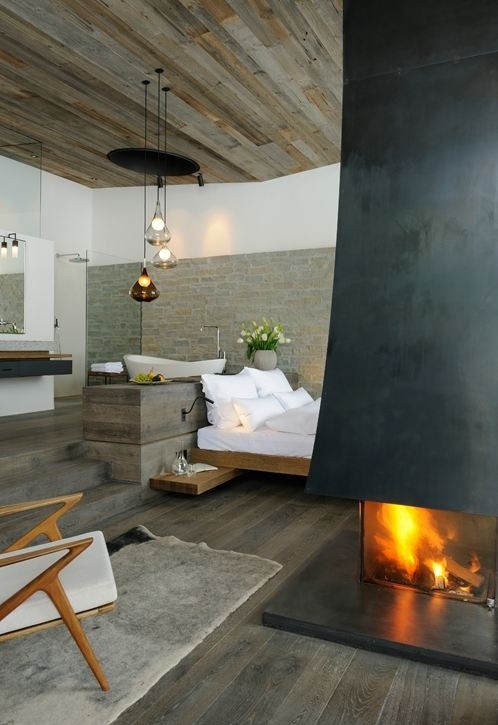 The goal is to create an ambient and surrounding where you will feel comfortable to spend time and relax. Design it according to your personal preference and sense of style. The controversial issue with all these open bathroom designs is mostly about how much privacy you have in your own home. Of course, there are a lot of different open bathroom concepts that have various designs. Some of these include dividers or even movable walls, while others are completely in the open. The thing is that some people can get the wrong idea. Open bathroom concept is just about the shower, the bathtub and the mirror. You can invest in a quality plumber to install a separate toilet. The point is to customise. 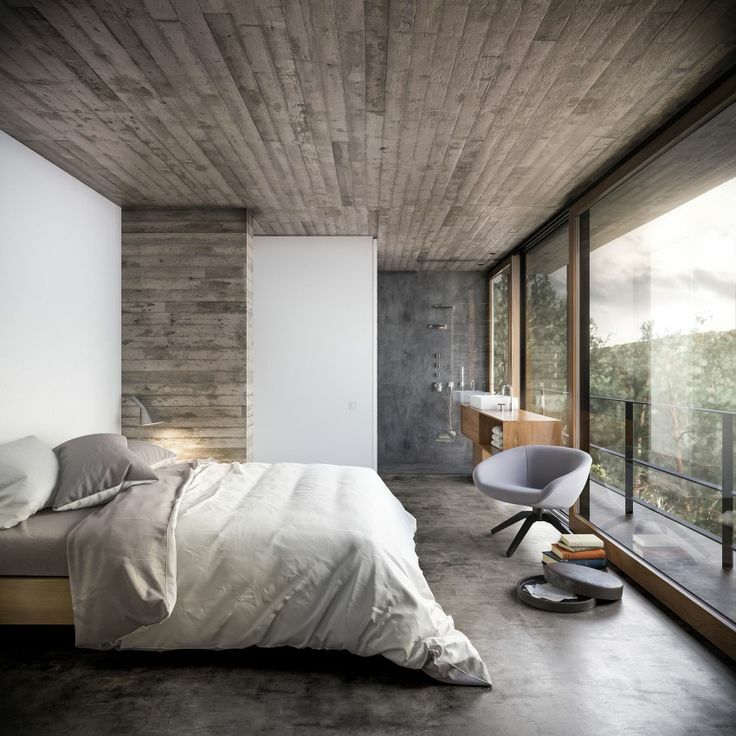 One of the most common problems with this concept is the fact that without walls, there will be much more humidity and moisture in the bedroom. Because of this, many people fear that moisture will harm their furniture and items in other parts of their homes. This is why it is important to invest into a good air‐ventilation system that will enable you good air flow and prevent moisture from building up in the house. Another good idea is to invest in movable doors that will allow you to secure your room from the moisture and humidity. Another very good thing about this design is the amount of space it consumes in your home. As I already mentioned, the point of this concept is customisation. Conjoining your master bedroom with the bathroom is practically the same as designing a living room with an open kitchen concept. Even though it is a risky idea, home‐owners should consider it because it can be practical. 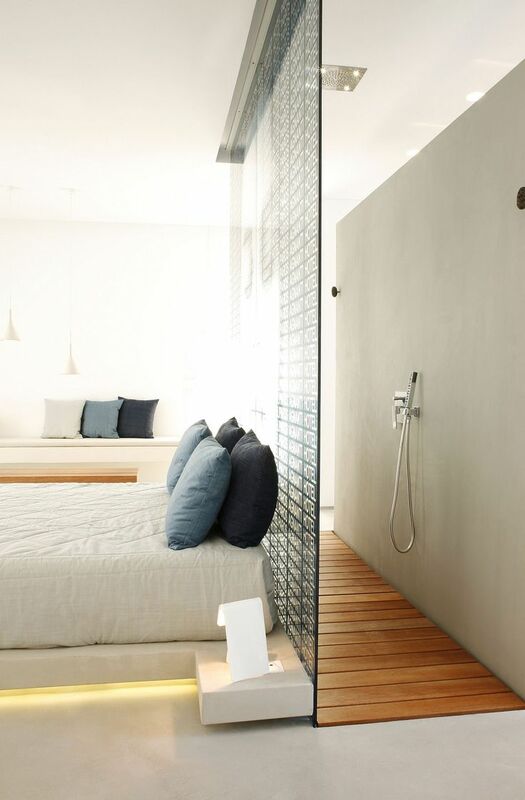 Can you imagine getting out of bed and stepping directly into the shower? The idea is in creating a multifunctional space where you can achieve more in less floor area. Creating new and bold design concepts will always be a subject of controversy. We can’t expect for everybody to enjoy the same ideas and like the same things. But the best way to look at these ideas is as they are types of art. So if you enjoy some new, fresh and conventional layouts, do not hesitate to upgrade your interior a bit. This way you will have the luxury of waking up every day and feeling like you are a guest of a five star hotel. What more could you ask for? Lana Hawkins is an architecture student and a crafty girl from Sydney. She enjoys cooking and knitting. Also, Lana loves writing about home decor and landscaping whenever she gets a chance. Follow Lana on Twitter. So what do you think? Is there an open bathroom design in your future? Do you love it or hate it? Comment below and let us know! On another note, have you entered our giveaway yet? 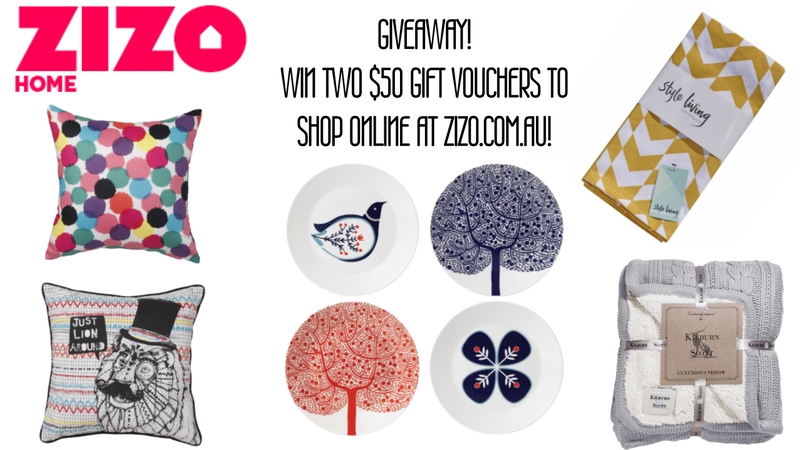 Today is the last day and you could win $50 gift cards from ZIZO Home. 2. Take a photo of your home & tell us which item from www.ZIZO.com.au you would choose to update your space! Entries are open to Australian residents only (apologies to our much loved international readers). Two winners will be selected and contacted via Instagram by us and emailed by ZIZO directly.